The possibility for a company to go public through an initial public offering is probably one of the best things that capitalism could’ve come up with. However, a small drawback comes from the fact that nowadays everyone can trade stocks and manage their own portfolios. This lead to many companies from the large- and mega-cap space being either overpriced (the law of supply and demand applies on stock markets too), or being efficiently priced, which means that they don’t provide much value for investors. Nevertheless, hedge funds, which are the best players on the market, can still take gain significant profits by investing in the right stocks, because their resources allow them to research each company extensively, and allow them to stick to a stock despite some short-term volatility in order to benefit over the long run. Retail investors, who don’t have a lot of capital to invest, can get some insights by following the activity of hedge funds. However, the key is to avoid investing in large-cap stocks, because generally they won’t provide significant returns. Instead, one should focus on small-cap stocks of hedge funds. Our backtests showed outperformance of almost 1 percentage point per month for the 15 most popular small-cap stocks among hedge funds between 1999 and 2012. Moreover, since 2012, the same system managed to provide gains of 132%, beating the market by 79 percentage points over the last 2.5 years. A relatively new development in the area of investing came in the form of activist hedge funds. Instead of simply picking companies for their long-term growths and waiting patiently for returns, these investors try to discover some inefficiencies within the company and then get involved with the board and management in order to address these issues. However, not all activist investors succeed in their endeavors. Over the years, several hedge fund managers established themselves as the best activists by successfully conducting activist campaigns and winning proxy fights that consecutively lead to companies increasing their shareholder value. These investors became sort of “rock stars” on The Street, and each one of their moves is scrutinized and can lead to significant stock price fluctuations (usually in the positive direction). One of them is Dan Loeb, the manager of Third Point, LLC, who is well known for his widely-mediatized campaigns in Yahoo! Inc. (NASDAQ:YHOO), Dow Chemical Co (NYSE:DOW) and Sothebys (NYSE:BID). With a net worth of $2.5 billion, Dan Loeb was one of the most successful activists last year, even though his Third Point Offshore Fund (OTCMKTS:TPNTF) returned only 5.7% compared to the S&P 500′s growth of 13.7%. However, since inception, the Third Point Offshore Fund scored annualized gains of 17.3%, beating the S&P 500 by nearly 10 percentage points. As we have stated earlier, a good way to use the data from hedge funds’ quarterly 13F filings is to focus on their small-cap stocks. That’s why in this article we are going to take a look at Dan Loeb’s three largest holdings in terms of value, represented by companies with market capitalization between $500 million and $3.0 billion. It’s not a surprise that in an $11.09 billion equity portfolio — which Dan Loeb’s is — holdings in small-cap stocks are far from being among the top 10 largest positions. One exception is Sothebys, Dan Loeb’s long-term activist target. Third Point reported ownership of 6.65 million shares worth $287.15 million in its latest 13F filing. Dan Loeb initiated a stake in August 2013 and had been pushing for ousting Sothebys’ CEO William Ruprecht, blaming him for BID stock’s financial underperformance. Dan Loeb scored a partial win last year by getting three board seats in May, although William Ruprecht had kept his position as Chairman and CEO until November, when it was announced that he will step down as soon as a replacement is found. The investor still did well, being reimbursed for his expenses with $10 million paid by the company, which spent in total some $20 million in fees for its defense against Dan Loeb. Sothebys’ stock is still down by 5% since both parties signed a “truce.” However, the problems for Sothebys don’t end there, since the company remains in the crosshairs of another activist investor, Mick McGuire of Marcato Capital Management. Marcato owns 6.57 million shares of Sothebys, equal to a 9.53% stake, and in February, the investor issued a letter demanding a share repurchase of $500 million, and the replacement of the company’s CFO. As has been mentioned earlier, Third Point’s stake in Sothebys is not only the largest among the investor’s small-cap stocks, but also the eighth-largest in terms of value. His other holdings in small-cap companies are positioned much lower, such as Enphase Energy Inc (NASDAQ:ENPH), in which the fund owns 6.25 million shares, valued at $89.30 million, which places it as the 30th-largest position. Enphase Energy is a $575 million semiconductor company, which is engaged in producing microinverter systems for the solar photovoltaic industry. ENPH stock has had a solid growth since its IPO, gaining nearly 80% in the nearly three years since. Another potential upside for holding shares of Enphase Energy is that many experts consider the solar industry to be in need of consolidation, and smaller companies with a focus on a particular segment of the industry might become acquisition targets in the near future. Another fund bullish on Enphase Energy is Jim Simons’ Renaissance Technologies LLC, which upped its stake by 50% during the fourth quarter to 189,800 shares. Then there is FCB Financial Holdings Inc (NYSE:FCB), a $1.1 billion national bank holding company, which owns Florida Community Banks Inc (OTCMKTS:FLRB). Third Point initiated a stake in FCB during the last three months of 2014 and in its latest 13F filing disclosed holding 996,200 shares, valued at $24.55 million. FCB stock is up by 10% since the beginning of the year. FCB Financial Holdings went public at the beginning of August, and since the IPO, FCB stock has gained 28%. FCB Financial Holdings quickly gained the attention of billionaire investors. The four largest shareholders of FCB Financial Holdings are billionaires Paul Singer, Leon Cooperman, David Einhorn and Dan Loeb. The largest stake is held by Paul Singer’s Elliott Management Corporation, which owns 2.58 million shares, up by 540% on the quarter. 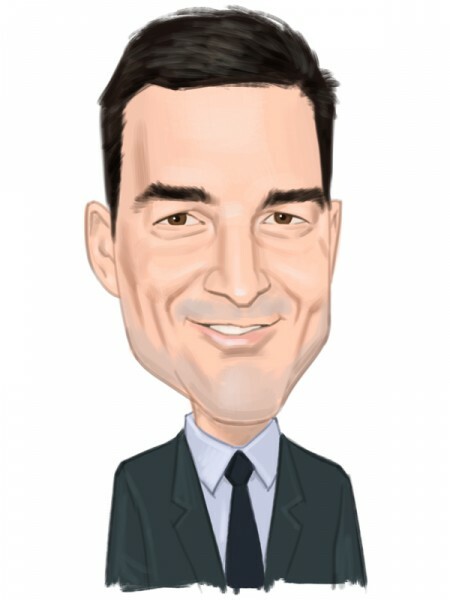 Article printed from InvestorPlace Media, https://investorplace.com/2015/04/small-cap-stocks-hedge-fund-dan-loeb-sothebys-13f-fcb-enphase-energy/.